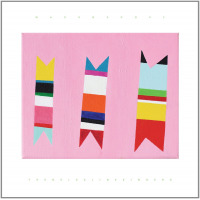 This represents the first recording by a new group led by Nels Cline, although there are clear traces of his previous work with the Nels Cline Trio. As with much of his previous work, this is unique music that might very well slip through the cracks of the improv, jazz, and rock worlds, but such an oversight would be unfair indeed. Cline has worked with Mark Dresser on 1996's overlooked Eremite release by Gregg Bendian's Interzone, and Dresser brings his otherworldly bass prowess to these proceedings with considerable success, much as any Dresser fan would expect. In fact, all four of these players are veteran improvisers with a rich palette of experiences and techniques to draw upon. I bet this group could record 20 albums without ever running out of ideas. For the most part, the music of this disc is more restrained than much of Cline's previous work. In particular, he eschews the ecstatic rock element of his Trio recordings, and he doesn't aim for the aggressive bliss of Myriad, the most recent recording by Gregg Bendian's Interzone (Atavistic). On "Spider Wisdom", however, the group does offer a charged and driving performance with Parkins' alien electric harp lines blending with Cline's animated electric guitar. Even on this piece, though, the pulse is often discharged for the sake of more atmospheric exploration. "Sunken song" is the only other piece that is a partial exception to the overall subdued tone of the record. 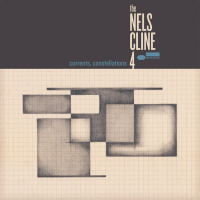 It is also the closest in style to the Nels Cline Trio, especially since Parkins is absent, giving us the classic guitar-bass-drums combination of the Trio. Of course, Dresser's remarkable bowed bass playing is a contrast to the Trio's use of electric bass guitar. 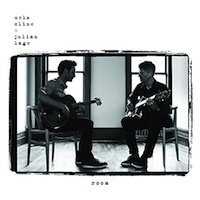 Towards the end, we find Cline utilizing the rhythmic strumming of the electric guitar that is associated with Rock music much more so than Jazz. 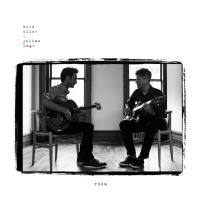 It draws attention to a crucial element of Cline's music: whereas most Jazz guitarists (including current innovators like Joe Morris) seem most concerned with melodic development, Cline has a greater appreciation of the timbral and textural possibilities of the electric guitar. Cline's use of repetition allows us to savor the precious tones he evokes without the distractions of linear melody. Exactly the opposite can be said about other parts of this disc, however. On "New Old Hat", Cline plays contemplative acoustic guitar that demonstrates his capacity to savor tonality without sentimentality. This is a really striking piece, moving at a slow pace throughout it's 7 minutes as Cline and Dresser relish every note and Mintz provides crucial coloration in the background. Throughout the disc, Mintz rarely dishes up an extroverted pulse, choosing instead to play a great deal of pauses and expressive cymbal passages, all of which are done with the touch of a master. The atmospheric qualities that surface on the disc are given a remarkable condensation on the final track, which seems far too short at just under 6 minutes. Parkins really shines on this piece, evoking beautiful long tones from her electric harp that form a breathtaking combination with Cline's guitar magic and Dresser's thick bowed bass. While I certainly do enjoy a lot of music made on computers, instead of by traditional instrumentalists, this piece is a good reminder that there's no replacement for the details of timbre and attack provided by musicians playing in real-time, even when their instruments are greatly altered by electronic means. "Queen of Angels" is a 13 minute piece that explores both pensive and noisy territory, often at the same time. Cline and Dresser are slow and deliberate, while Parkins and Mintz buzz around them with bucketloads of nuanced interjections. 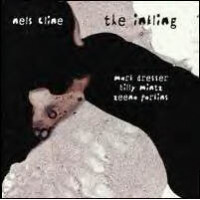 As exemplified by the dreamy texture of gentle distortion found in one section of this piece, Nels Cline is not afraid to use simple ideas that are imbued with rich meaning from their surrounding context. Unlike stoic anti-idiomatic masters like Derek Bailey, Cline is not worried about achieving abstraction at all costs. His music is as 'free' as anyone's. Another point worth noting about this piece is that even though Cline and Parkins draw on the riches of distortion, they still maintain a sense of dynamic balance; they don't fall into the common trap of creating a numbing mass of sound, as so many others would using the same equipment. "Queen of Angels" does have one serious flaw, though: it ended. The same complaint could be raised against the other 'epic' on this disc, "Alstromeria". This is a masterpiece. Every note carries the weight of the entire piece. 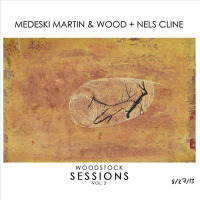 The first few minutes find Cline and Dresser nursing a ponderous melody, as Parkins adds arresting and irregular counterpoint on her acoustic harp. There is almost a sense of building to a climax at times, but the music is somehow quite relaxed. Close to the 9 minute mark, the whole affair suddently shifts into a very quiet and tense tapestry of small sounds, including some highlights from Dresser's catalogue of extended contrabass techniques. 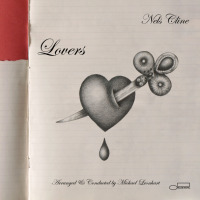 No sooner do we adjust to the transition then Cline and Parkins join Dresser's expressive bowing with the lucid melodic statements of the previous section. An astounding piece of music that compares favorably with the infinitely subtle pointillism of "I-zones" from the first (self-titled) Interzone CD, the latter easily being one of the 5 most amazing pieces of music I've ever heard.